My thoughts often flow with varied shades and nuances, much like the colors of the seasons flow in the breezes, or winds, that lift the leaves, the papers, the flower petals and other debris that litter the streets or the yards. So it seems fitting that my blog should be called this and this is where those thoughts will flow. I hope you will l enjoy reading some of them and will comment or ask questions; otherwise, they will simply blow away like the rest of the treasures – or debris – in the wind. It’s been months since my last post and I have to confess that I have been waylaid along the route. I started to tell you some about a new novel that I was starting to write in my last post. And that novel is still in the works, but it also is waylaid by a new project. Sometimes an idea that you’ve been mulling around suddenly forms more completely in your mind and the whole story line begins to write itself. This is what has happened with the book I am now working on. 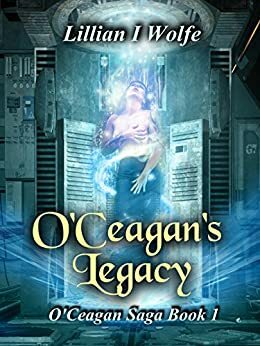 It’s called O’Ceagan’s Legacy and it is a science fiction fantasy novel. So for the time being, the YA I was starting has been set aside so I can concentrate on this particular story. I think it’s going to be an entertaining read and I will be posting bits from it soon. (I promise!) This one is kind of flowing now and what will keep it flowing is some feedback from my readers, so you can have a part in helping me get this book done in record time. Part of it is that the new book is the first in a series and I’m trying to get the full picture in my brain before I get into full swing. I know, it sounds like a great excuse. But these characters are setting up housekeeping in my mind and they are kind of slow moving in and not as chatty as I would like, but I think they are starting to open up a little. Let me introduce a couple of them to you. First, there’s Darcy O’Hara, the plucky teenage heroine in this “finding your light” story. Darcy has grown up under the dubious influence of “Bewitched” and “Charmed” and believes with all her heart that she’s a witch, but so far that magic has just not come through for her. Then, there’s her younger brother Ryan, a fifteen year old soccer enthusiast, who scoffs unabashedly at his older sister’s “weird” notions. Ryan is clever and very grounded, but mostly he enjoys teasing his sister. In short, a typical smart-arse younger brother. Our story begins when these two youngsters have been shipped off for the summer to visit their father’s brother and his family in Ireland. For Darcy, it’s the opportunity to find her gifts in a place that surely has to be magical. While basically a young adult novel, I like to think of it as a “young at heart” novel because it will appeal to all who enjoy a good fantasy story set in the heart of enchantment. The book is titled “Dew Dropping Hour” and it’s the first in the Isles of Magic series. I hope you’ll keep coming back for progress reports and little snippets. We who are old, old and gay, O so old! Us who are old, old and gay, O so old!